Lake Nakuru had an overabundance of rain this year, leaving many of the lake side paths impassible and turning much of the shoreline into wetlands. These yellow-billed stork hunted for food amid the rain and mist. This entry was posted on Sunday, December 23rd, 2012 at 4:20 PM. 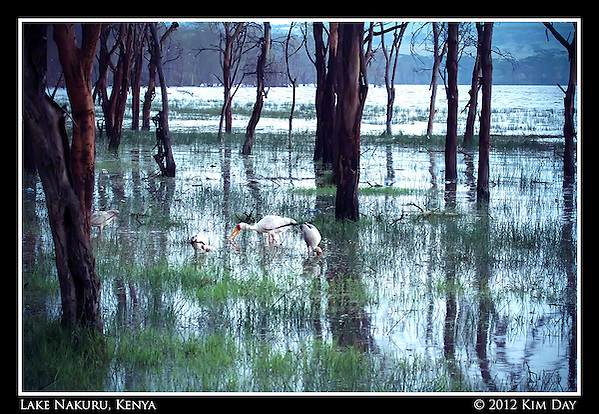 It is filed under Photo Of The Week and tagged with Kenya, Lake Nakuru, water birds, Yellow-billed stork. You can follow any responses to this entry through the RSS 2.0 feed.